Remote viewing is the psychic phenomenon of projecting your mind to receive information, without leaving your body. It encompasses an amalgamation of traits of other psychic abilities, such as extrasensory perception, telepathy, and astral projection, without equaling these abilities. In the early days of its discovery, it was also known as ‘telesthesia’ and ‘traveling clairvoyance’. A remote viewer is able to gain information about faraway, unseen people, events or locations that are unknown to them. They can witness events they aren’t present for; hear conversations between people out of earshot; and visit locations they’ve never been to. By sending their mind rather than their body to see and feel exactly what is happening, they can report findings back to others. This method has historically been used by the US government and CIA to gain intelligence, after they became interested in remote viewing experiments in the 1970s. These experiments were continued and recorded for over 20 years, before the operation was ceased in 1995. Despite the termination, some people involved were compelled to continue their work. Some have written books and given interviews about their remote viewing participation within government investigations. Training your mind to remote view can be a lengthy process that requires dedication and commitment. But once you have mastered this extraordinary skill, it will serve you well for a lifetime. Below, we have compiled a comprehensive guide on the best way to learn to remote view, from experts who have practiced and perfected the art. Before you begin to attempt remote viewing, it is a prerequisite to master meditation. Remote viewing requires a deep trance-like state, which can only really be achieved after you can confidently meditate. Your mind must be entirely separated from your immediate surroundings and perceptions before it can travel elsewhere. It is useful to become aware of your ‘inner eye’, and practice seeing hidden objects with it. It is recommended you do this by practicing with a partner – get a friend to leave the room and send thoughts of exactly what they are seeing, doing, feeling, even smelling. While your partner acts as the ‘sender’, you should record the views you receive. Keep paper and pencils, voice recorders, even paints handy, to record whatever you see in the way you feel is fitting. Turn off your phone and remove any distractions – this skill takes the utmost concentration and power. Remember, you will need to enter a trance-like state to fully project your mind. Your partner will then return, and you will compare your findings. It’s useful for the partner to record video, sound, or notes for accurate comparison. Keep logs of all your attempts, and you will see that with persistence and perseverance, your percentage of accurate ‘hits’ increases steadily. When starting out, to gain confidence in your psychic abilities, you will need a willing participant to help. Someone else will need to confirm whether your findings are correct. It may even help your viewing abilities to also act as the ‘sender’ to another viewer sometimes. This way, you can see and understand both sides. Note: your recordings must not be influenced by any preconceived notions you might have. This means, when strange thoughts come to you during viewing, do not try to interpret them – even if they are confusing and odd. You are likely to experience things that you don’t immediately understand. Record exactly as the view comes to you. Do not dwell on what it might mean. This ensures your viewings are as free from your (natural, human) bias as can be, and will therefore be accurate. Do not expect to be able to remote view overnight. Honing psychic abilities is a marathon, not a sprint; and like any true skill, takes more than simple talent. You may need to endure a number of failed attempts before you learn the methods, tricks and ‘ways in’ to viewing that work for you. 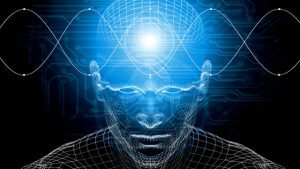 The way that individuals are able to access remote viewing is highly varied. Some people speak of opening ‘portals’, usually through meditation, which the mind is then able to travel through. Once you become confident in remote viewing over short distances, increase those distances. A great guide on this can be found here. Get a partner to go to a location unknown to you, a driving distance away, and transmit detailed thoughts of their surroundings to you. You must have no contact while this is happening. This should be done for at least an hour, to enable the viewer to concentrate and create a log of what they see. Your experiments with your partner should be conducted according to scientific regulations – e.g., your tests should be blind and you should not receive any intelligence from that person that would allow you to ‘cheat’ or for your viewings to become biased, consciously or unconsciously. For instance, you should not be able to guess where your partner has gone during your experiments. Within time (the length of which depends entirely on the individual) you can move onto conducting remote viewing without the need for another person to affirm your findings. Once your viewing percentage is near-on 100% correct in your experiments, you can be confident that what you are seeing is true, and begin to remote view for your own personal purposes. It is hard to measure exactly when a person can be considered an able remote viewer; but eventually, you should be able to gain accurate information from a remote location in a short period of time and without extraneous effort. As we have mentioned, people with these abilities have previously been employed by governments across the world to attain information in criminal investigations and for government intelligence purposes. Usually, these remote viewers begin with the aim of broadening their scope of human perceptions, by experiencing things outside of their immediate sensory range. Once you have mastered this ability, it can be applied in any way you choose.